Queen Bey continues to spread her magnificence throughout the realm. The Houston native went back to her childhood church this week to be with victims of Hurricane Harvey, including the family of The Root’s very own Kirsten West Savali, who wrote about their horrific ordeal on the site. 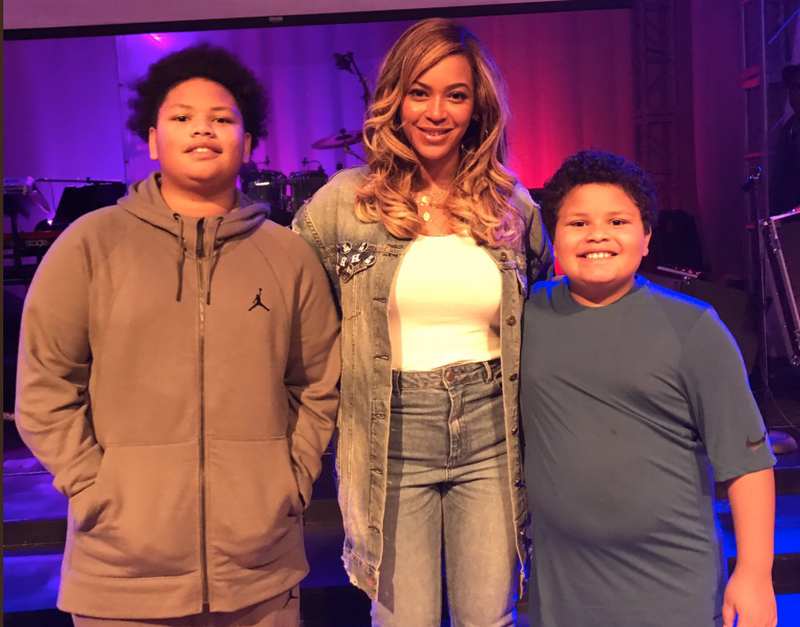 The Carter women—including Beyoncé’s mother, Tina Knowles, and daughter Blue Ivy—traveled to H-Town on Friday and appeared at St. John’s United Methodist Church to offer support for those devastated by the Category 4 hurricane. E! reports that Pastor Rudy Rasmus of St. John’s stated that Beyoncé made a “significant donation” before arriving, most likely through her #BeyGOOD nonprofit. On Tuesday, Sept. 12, Bey, Oprah and others will be participating in the Hand in Hand: A Benefit for Hurricane Harvey Relief telethon, airing live across all networks at 8 p.m. EDT, to be rebroadcast at 8 p.m. on the West Coast. The telethon will also be streamed live on Twitter and Facebook.